Plant list by Ben Kimpton MSc BSc Dip(Hort) MCIEEM of Ecology Consultancy (many thanks), with negligible help from me! If you have any other records, esp inverts, get in touch! Most interesting finds were hoary stock and a poss nationally rare sea fern grass Catapodium marinum. Catapodium marinum Sea fern grass R NR, ? Conyza canadensis Canadian fleabane R ? Cyrtomium falcatum House Holly Fern R w, ? Malva x clementii Garden tree mallow R ? Sisybrium orientale Oriental rocket O b, ? Triticum aestivum Bread wheat R b ? 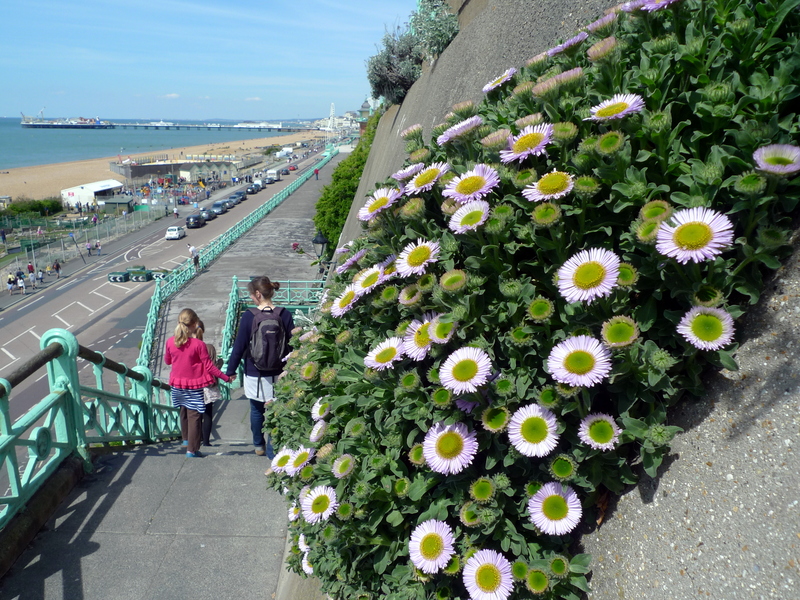 This entry was posted in Uncategorized and tagged green wall, Madeira drive. Bookmark the permalink.